“Tell them what?” asks Bear. “Just tell them,” replies Mirabel. “This isn’t a true story yet,” says Chris Goode at the start of this dense, challenging but haunting story-sharing show, “but by the time I’ve finished telling it, who knows.” The tick of that clock is loud. Goode’s blind-folded storyteller suggests a latter-day Tiresias. Or perhaps a shaman, in the sense that all storytellers are shape-shifting shamans. But will we hear what he has to say, and maybe the seer-sayer himself is a blind fool like all of us. Little Mirabel, a child lost in a world destroyed by the adults, has more than a sticking plaster resilience. Despite everything thrown at her she is intent on finding the emergency exit. She knows that she must rescue herself. The adults can’t or won’t do it. She is a walking expression of hope in a desert of despair. Chris Goode in Mirabel. Photo by The Other Richard. Goode — on stage the entire time — offers up this apocalyptic fairy tale with a no-nonsense grace. The 90 minutes is child-like but never childish. In fact, it is seriously grown up in its refusal to make its meanings instantly apparent, the way it works both on a conscious and unconscious level, and how it invites us to dream it as much as understand every single word. Fairy tales are sometimes called wonder tales because of the way they embrace the fantastical. There is wonder about this show even when it is not an the easiest of evenings. But then the end of the world was never going to be just a walk in the park. Mirabel seems to know that, so why shouldn’t we? 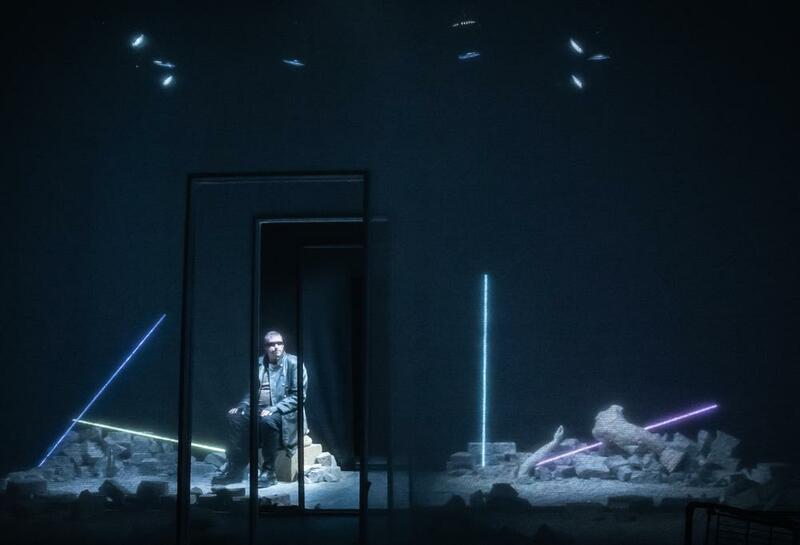 Matt Padden’s sound design, and Naomi Dawson’s box of tricks set — the latter beautifully lit by Lee Curran — feel as if they are taking us into different layers of consciousness. It’s like passing through a series of doors that you hadn’t initially noticed were there. There is potentially layer upon layer of meaning. After all, the end of the world can mean many things from global warming to being blown sky-high. Many of us have experienced the bleak struggle involved in surviving our own nuclear winters of the mind. There are shades of The Little Prince and how children see what adults are blind to (I kept thinking of the picture of the snake which has eaten an elephant at the start of Antoine Saint-Exupery’s story, a visual misinterpreted by the adults as a hat). The influence of The Wizard of Oz and Dorothy’s post-cyclone journey along the yellow brick road is very apparent too. Toto becomes a dog with laser red eyes, and along the way Mirabel gathers other survivors alongside her including a bluebell, a rock called Baheegwing and a crippled airman. 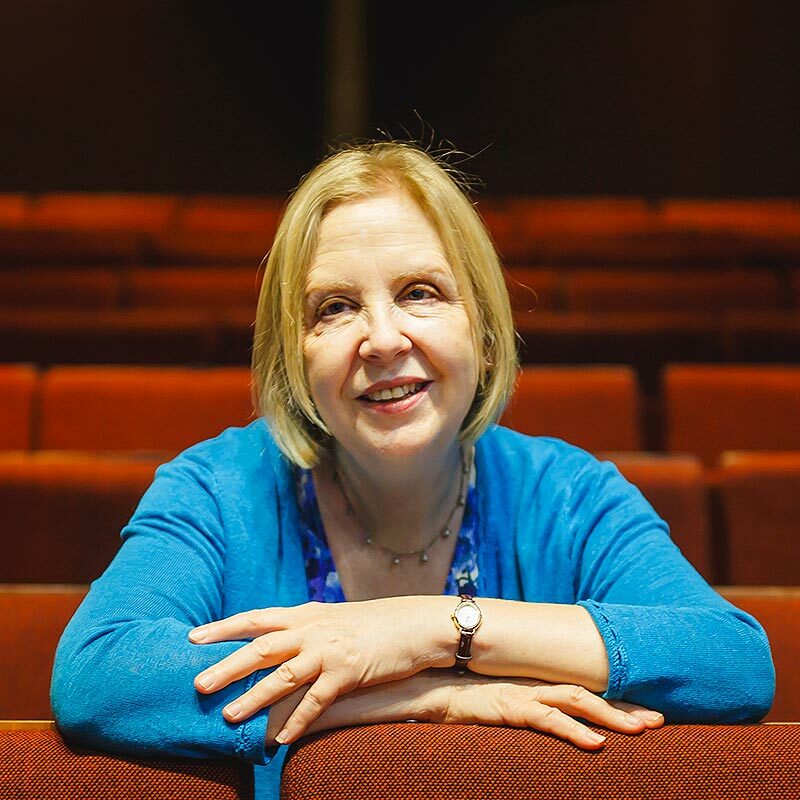 Like Anne Washburn’s post-electric play, Mr Burns, set in an apocalyptic future where all the lights have gone out, Mirabel plays to the idea that certain stories –the fairy tale and the quest story—live on deep within the collective memory. They are the stories that we will dream at the end of the world. 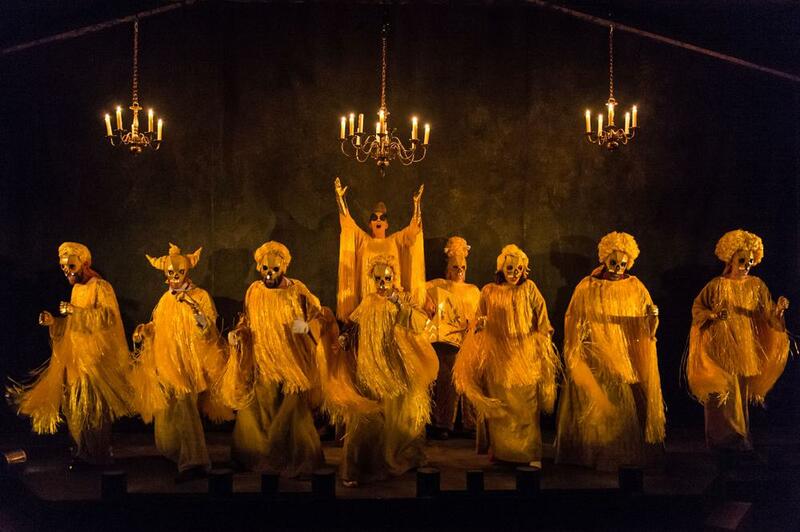 Mr Burns, a Post-Electric Play at the Almeida Theatre in 2014. Photo by Manuel Harlan. The dream, or altered state, is at the heart of Mirabel. A piece which feels as if it owes something to the pioneering work of Arthur Mindell with comatose patients. Mindell sees these patients like mythic heroes wandering through an unknown landscape, some returning from the coma state to bring us urgent news. Mirabel is forced to take on agency and become the heroine of her own story, and desperately try and rewrite its ending. Does she succeed? I don’t know. But maybe it’s not too late to try and change our own story too.